Banat Lines ng mga Bolero is another compilation of puns and banat lines that "bolero" or "bolera" might tell you to take your heart away. Bolero or bolera is a term for sweet-talker. They tend to indulge you in a smooth conversation and give you compliments that you would love to hear. This person is good at telling you nice words that will fill your tummies with butterflies. But beware as some of them might just playing the game that you don't want play and you might end up heart broken. 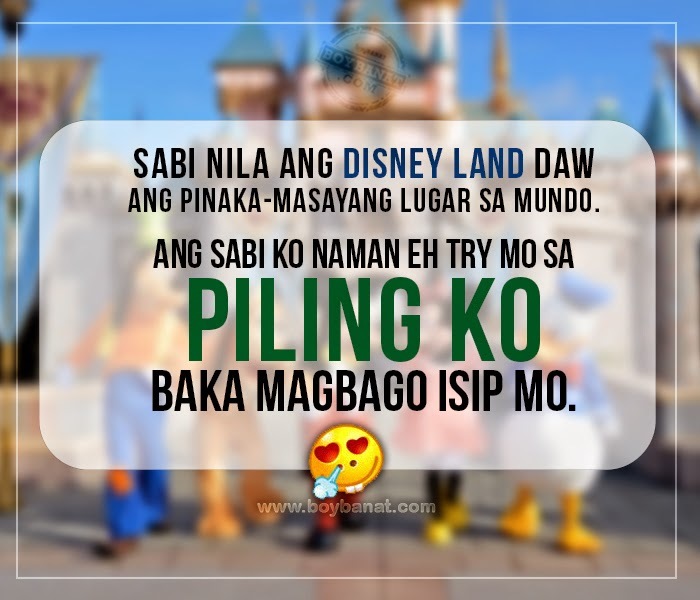 Boy Banat: halaa! naramdaman mo ba yun? Boy Banat: bakit square ang box ng pizza kung circle naman yung pizza ? Boy Banat: kasi may magkaiba na sadyang para sa isa't isa . Girl: Sir may I take you're order ? Girl: Alam mo para kang "Hika"
If you have your own Banat Lines ng Bolero, share it with us and We will be happy to have them posted here. Just Contact Us.